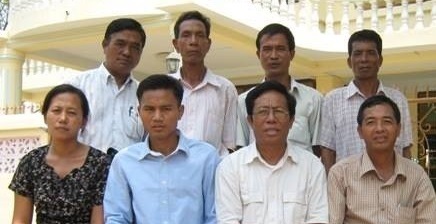 history - JMA Ministries Inc.
God called James Amar to fulfill the commission of Christ among Burmese people in Myanmar when he was young. After completing his education in Yangon, he started going to unreached people in different parts of the country preaching the Gospel and making disciples. James started outreach teams in 2006 to reach people who has never heard about Jesus Christ. He taught many young people in Asho, Karen, and various Burma tribes about Jesus. And He started Discipleship School in the same year in Yangon. After many were baptized in his ministries with youth groups from the house church he started, James started JMA Ministries Inc, previously known as Jesus Missionary Association, in November 27, 2007 with Christian Youth groups under the supervision of church elders and other servants of God with experience in the ministries. By the grace of God, JMA Ministries has grown incredibly, especially in the middle and lower parts of the country. James has baptized over 350 new believers from 2006-2013. JMA Ministries has been supporting native missionaries in the most unreached areas, preaching the Gospel, planting churches, and making disciples. God blessed missionaries from JMA Ministries; and in 2014 there were 5075 people who have been baptized in Burma and the US through the efforts of this ministry. After travelling and reaching different tribes in the remote areas, JMA Ministries started Missionary Training School in 2008. 54 young people were equipped and trained in our Missionary Training School in 2013 and sent out to the unreached people in Burma to work on JMA Ministries vision and purpose. The Nargis cyclone affected the middle and lower part of Burma in 2008. Thousands and thousands of children were orphaned, uncared for and left hopeless. JMA Ministries provided food, shelter, and materials for relief, along with preaching the Gospel. To provide long-lasting assistance, JMA Ministries started the Elim Family Orphanage in Yangon. JMA Ministries has been working faithfully to advance the Kingdom of God in Burma and United States without international resources. We pray for partners who will pray for our ministries and will support us financially in order that we may all glorify God.